This KwaZulu-Natal accommodation is the best way to view and experience the grand Drakensberg Mountain range. The Cavern Drakensberg Resort is an award winning, 3-star graded, KwaZulu-Natal accommodation. 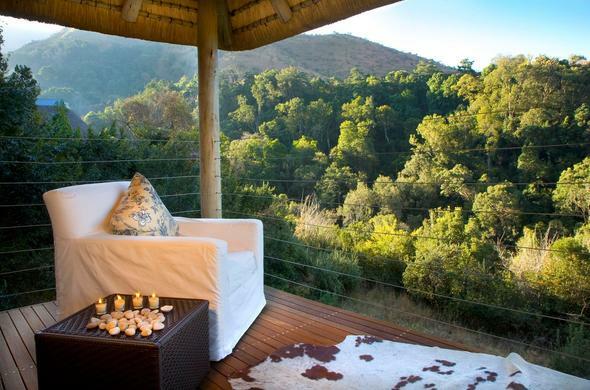 This KwaZulu-Natal accommodation has been introducing foreign and South African visitors alike, to the joys of mountain holidays for 60 years. Drakensberg accommodation at Cavern Drakensberg Resort is offered in thatched suites with modern facilities. The rooms blend in well with is lovely surroundings and guests can take sheer delight in its natural beauty. From Bushman paintings, 213 species of birds, 73 different species of tree, and an abundance of wildlife - you can experience it all on a relaxed getaway at the Cavern. The Cavern Drakensberg offers daily guided hiking trails and horse rides. If adventure is what you long for, a walking trail to Tugela Gorge can be arranged and to the top of the Amphitheater. A typical day in Drakensberg Mountains involves participating in recreational activities such as trout fishing, mountain biking and a game of golf. This KwaZulu-Natal accommodation has scooped up the Automobile Association (A.A.) Family Resort award in 2002, 2003 and 2004. In 2005, this KwaZulu-Natal accommodation was added to the A.A. Hall of Fame and won the Tourism KwaZulu-Natal Hotel of the Year Award.